His dam, Make A Wish, by award winning stallion Pins (twice NZ leading sire for global progeny earnings), was an impressive race winner at 1200m and 1300m, from Starcent (Centaine), Joint Third Top Filly in her three-year-old season. 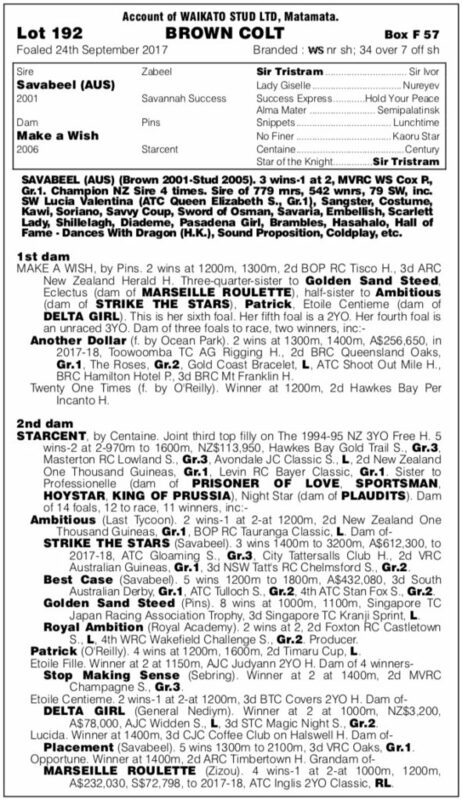 The third foal of Make A Wish, Another Dollar (Ocean Park), was a photo finish second in the Queensland Oaks (Gr. 1, 2400m) and second in The Roses (Gr. 2, 2000m). 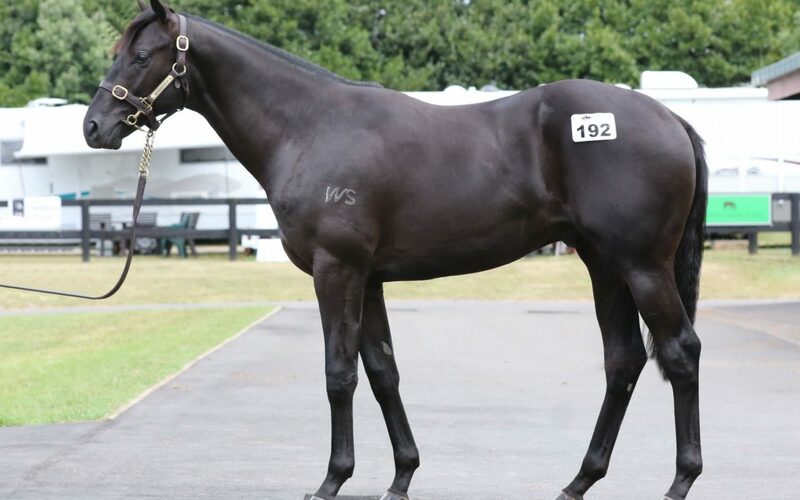 “I was hopeful I could buy him for a million dollars, but he is probably the best athlete that I’ve seen at Karaka for ten years, or more,” said Te Akau principal David Ellis. Ellis felt in time, he could prove to be a Cox Plate (Gr. 1, 2040m) horse. “He’ll be owned in the syndicate by very good clients of Te Akau Stud. There are still TWO shares left, to join really top clients,” Ellis said.